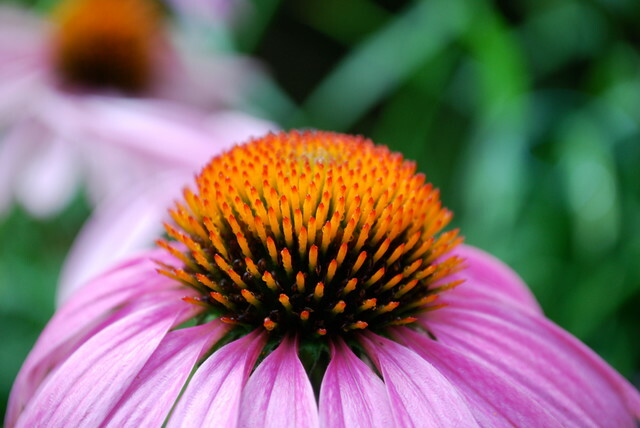 Coneflower. Photo by Jay Sifford. Don’t forget your camera. Your camera will help you hone your senses to notice things that most people would overlook. Equally as important, your camera will help you develop an eye for composition, an invaluable skill when it comes to designing your garden or seasonal pot displays. Consider viewing your garden photographs in black and white. When color is removed from the equation, your eye will see form and texture like never before. Now go into your garden and uncover the hidden; rediscover why you became a gardener in the first place. Then post details of your treasures in the Comments below. We want to share in your serendipity.